The Galactic Center of Coruscant has been the political hub of the Galaxy for millennia. During the Empire’s rule, it was also known as Imperial Center. 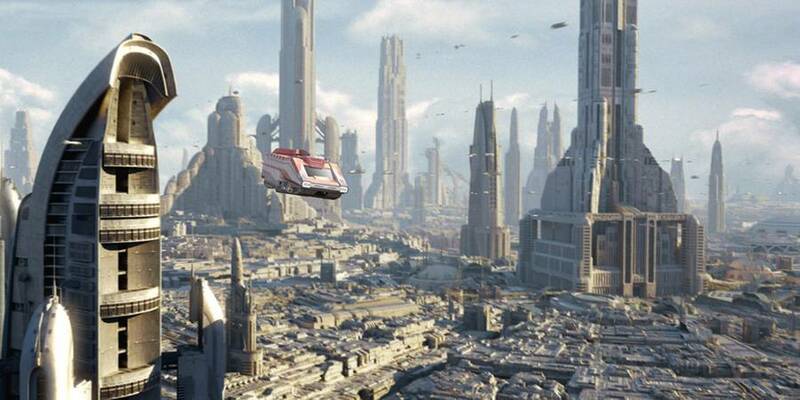 It was generally agreed that Coruscant was the most important world in the Galaxy. At various times, it was the capital of the Galactic Republic, the Galactic Empire, the New Republic, the Yuuzhan Vong occupation and the Galactic Alliance. A large number of the Galaxy’s trade routes (including the Perlemian Trade Route, the Corellian Run, the Metellos Trade Route, the Koros Trunk Line, and the Leisure Corridor) go through Coruscant, making it one of the richest worlds in the Galaxy. Tellingly, the planet’s hyperspace coordinates are (0,0,0). Be sure to book your tour today, because a trip to Coruscant simply can’t fail!